Yes I know, you know how to do a web search. You have been searching Google for years now. You just put a word in the search bar and the power of the Goog takes over. If you are doing a Web Search and select Search Tools some filtering options emerge. The most interesting from my perspective are time and reading level. Have you ever done a web research and the results seemed dated. 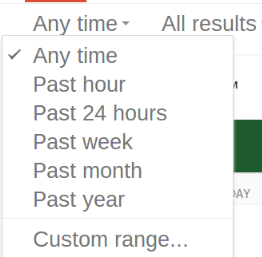 Google Search enables you to filter your results by time. Not only can you filter by hour, day, week etc., but you can also create a custom filter. To use our World Cup example, a general search may give you results from past years which you are not interested in. Maybe you only want results from the past 24 hours, Google has got you covered. 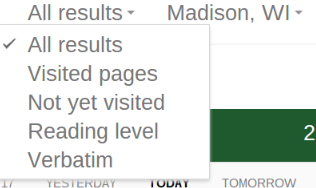 While All Results offers several options, the filter by Reading Level is my favorite. Maybe you have a group of students doing research on Google, but the reading level of the results are too complicated. All you need to do is filter by Reading Level and select basic, intermediate, or advanced. Not only is this a great feature for elementary age students, but ESL and Special Education students too.